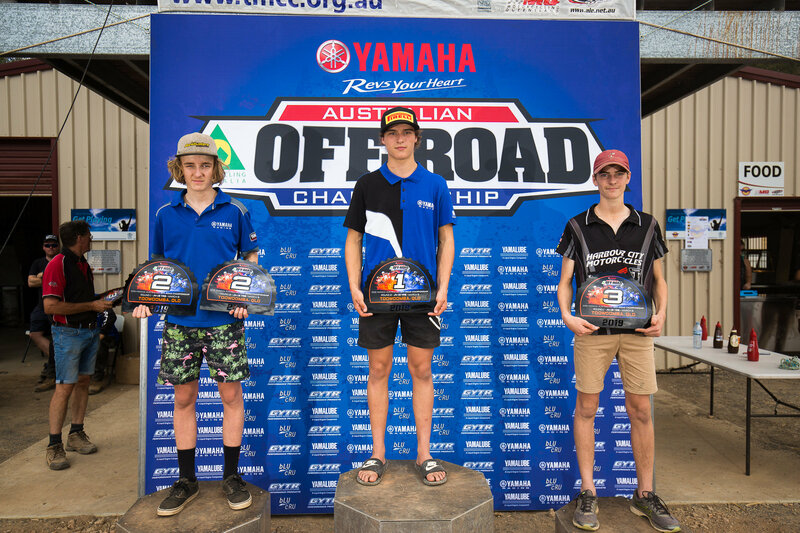 After a perfect weekend in Toowoomba, Queensland taking out the back-to-back titles in stifling conditions, Blake Hollis (Excite Motorsports, Yamaha) has landed comfortably into his new class, making a seamless transition into a tougher category with fiery competition. Taking out the 2018 AORC J3 Championship title, Hollis has proven time and time again that he will be biting at the heels of the likes of Daniel Milner (KTM Enduro Racing Team) and Luke Styke (Active8 Yamaha Yamalube) in no time at all! Moving on up from J3 to J4, Hollis has maintained his success form last season, using his prior experience and motivation to kick off the 2019 season on the best foot. A diversely talented rider from both a Motocross and Enduro background, Hollis brings a multitude of skills to the AORC table. Being both a demon behind the handlebars during Sprints and a smooth, precise navigator during Enduro and Cross-Country, the 2019 season holds plenty of potential for the emerging star. 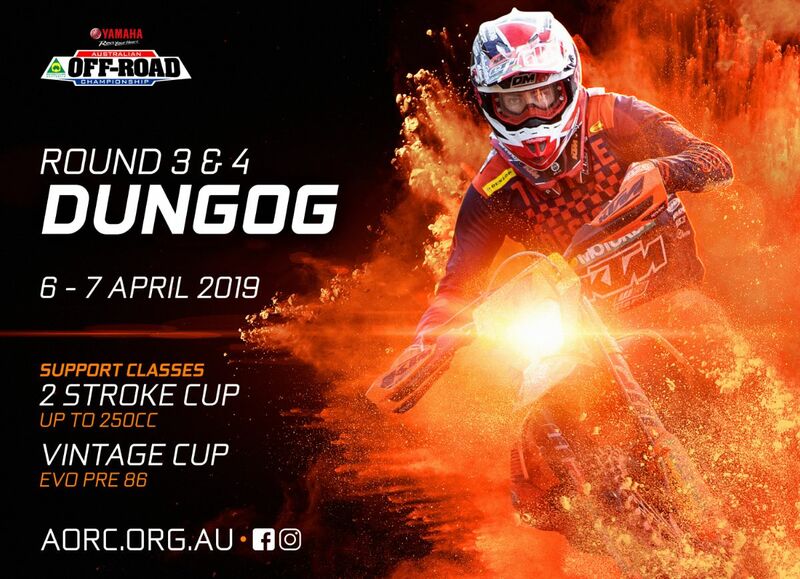 Sitting down with Motorcycling Australia, Hollis reflected on the new conditions and tests experienced at Toowoomba, his preparation heading into Dungog and his goals for the 2019 season. How did you feel after leaving the opening rounds in Toowoomba earlier this month? I felt really good coming out of Toowoomba! The complex and facilities were fantastic and the tracks were super technical. The tests presented a variety of different challenges that you had to adapt to on both days, which made for great competition! It was definitely a positive returning to the same track on Sunday for Round 2, unlike the Seniors who changed tracks. The consistency helped in knowing all the twists and turns of the track and where I can amp up the speed to strengthen my test times. How are you feeling heading into Dungog for Rounds 3 & 4? I’m super keen for Dungog! It’s always been one of my favourite tracks, particularly because of the timecard Enduro format. I find the Enduro format to be one of my strengths in the AORC competition. In the lead up to the event I’m maintaining consistent bike work, whilst also keeping a keen eye on my fitness and ensuing I stay as healthy as possible. This year sees you move up from J3 to J4 and onto a bigger bike. How are you finding the new experience against different competitors and on a different bike? It’s great to be in the J4 class. I’m racing a lot of familiar riders this year, so it’s not as daunting or nerve wracking as it I thought it could be. Although I’ve moved classes, I’m finding myself super comfortable on the bike which has really boosted my confidence. For the remaining season I’m just working on remaining consistent and do my best and hopefully we’ll come out with as good a result as last year.